Daniel Cormier’s coach feels his fighter might be convinced to hold off on his retirement plans. Cormier has made it clear in the past that he wants to be done with the sport of mixed martial arts by March. With a potential Brock Lesnar fight up in the air, Cormier is left wondering who his next and potentially last opponent will be. Ultimate Fighting Championship (UFC) president Dana White recently said he hopes Cormier stays for three more fights. “If Dana had his way, there’d be three left. And you know what, Dana has a pretty good way of persuading people. I like Dana, so I don’t know — we may see two or three [more fights]. I don’t know, I think so. I think Dana has a way of making things good for DC and making it right, so yeah, possibly. I wouldn’t be surprised. 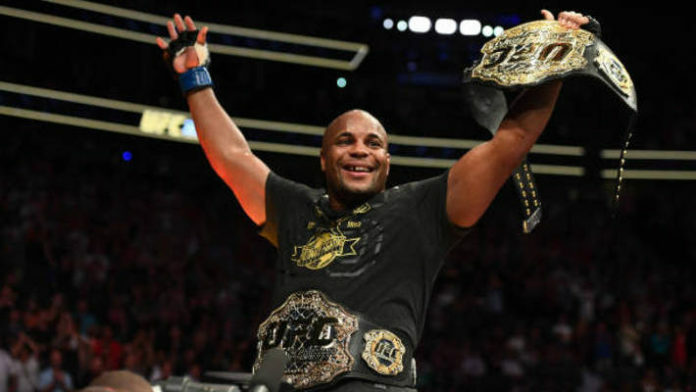 Do you think Daniel Cormier should retire after his next fight, or stick around?